I'm a freelance writer living in Melbourne. I love exploring and writing about my adventures! 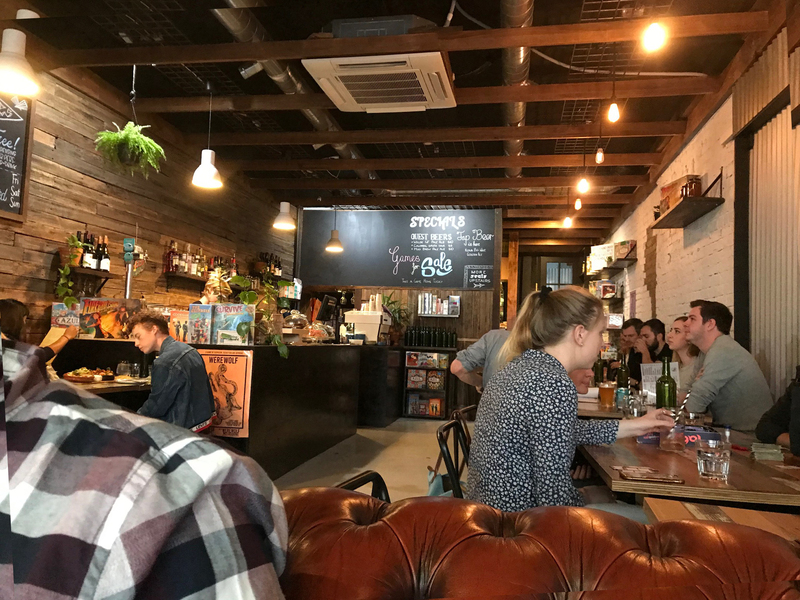 While taking a stroll through Fitzroy recently we discovered a hidden gem that is well worth a Weekend Notes article for all to see, go and enjoy. It's called the Queen of Spades Café on Smith Street in Fitzroy, and it's not just any café! The vibe about this place is very relaxed and friendly AND it has a ton of board games and not just the usual run of the mill board games either. Plus, they hold regular boardgame meet-ups. Okay, so not only do they have free boardgames that you can go and grab and play but they also have delicious cakes. I had the brownie which was super decadent and came with a side of raspberry sauce that I just tipped all over the brownie and went to heaven with. They also have a bar serving local craft beers, ciders and wines. Queen of Spades Cafe. Upstairs includes a board game area for monthly tournaments. Their regular boardgame nights include a very cool game called Werewolf which is a game that involves manipulation, deceit, judgement and moral panic. Trust me it's a goody! 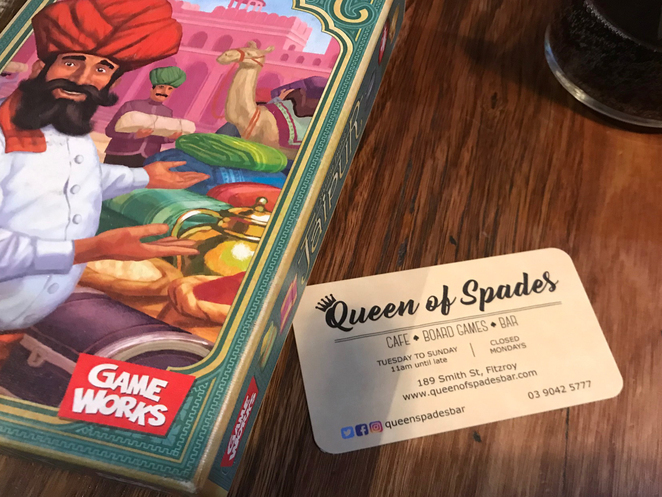 Queen of Spades hosts Werewolf on the first and third Sunday of every month; it costs $13 to play ($15 on the door), which will give you access to one of the three sessions of 15 players that will be held during the night plus an alcoholic beverage or equivalent. Plenty of tasty meals, snacks, coffee, beers, cider, wines, drinks are available on the night too. Why? You can have your cake and eat it too!